Stylish storage or elegant seating? The Vista Grande Ottoman by Eichholtz offers both. 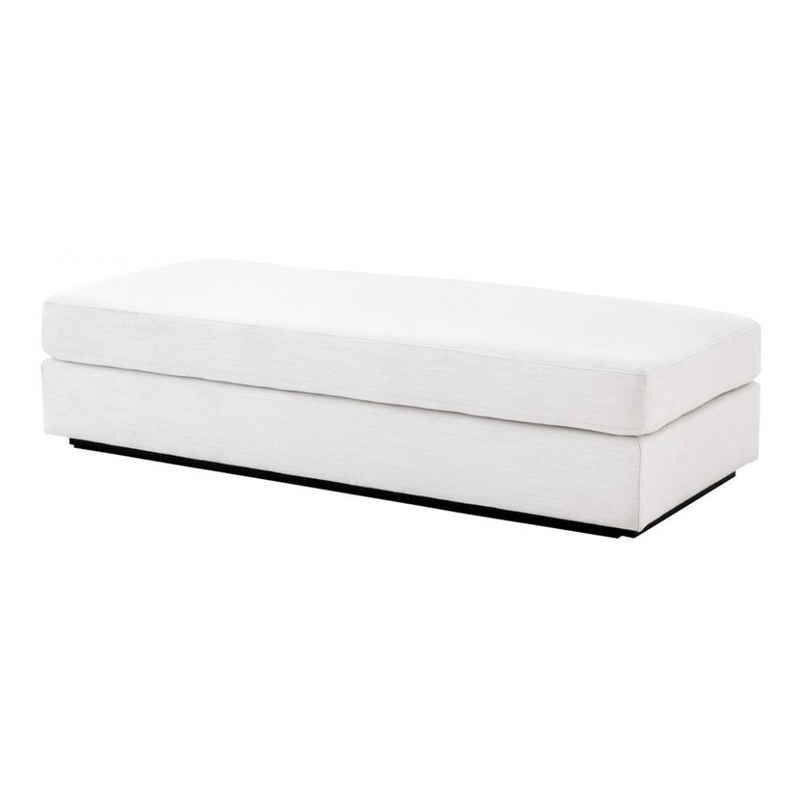 Upholstered in a beautiful, textured fabric in Avalon white with a subtle, black lacquered base the Vista Grande Ottoman will enhance a chic bedroom suite or sophisticated contemporary living area in the home, hotel or onboard a luxury yacht. With clean, sharp lines and a sumptuous cushioned seat the Vista Grande Ottoman will add a modern accent to a Colonial inspired interior amongst tropical houseplants and mahogany furniture or style with mirrored dressing tables and sleek leather headboards in a modern, monochrome bedroom scheme. Style with the Vista Grande Lounge Sofa and Vista Grande Sofa for a seamless, co-ordinated seating plan. For further details of our extensive directory of Eichholtz luxury homewares and other, similarly high quality interior brands why not contact our interior design team who can offer expert advice and inspiration to help you create your perfect interior.